It’s a busy time of year right now with lots going on in the city. If you’re looking for ways to enjoy Seattle’s festivities without having to deal with the traffic and chaos of driving downtown, look no further! 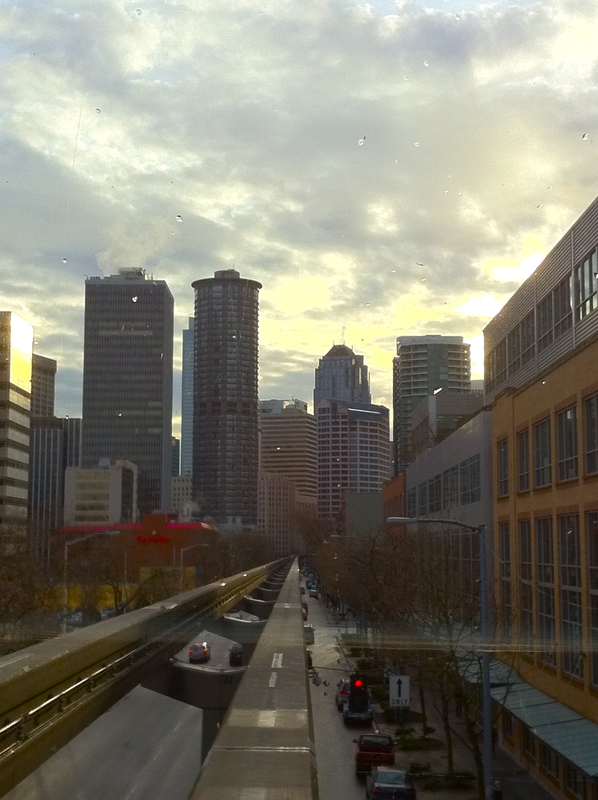 You can take the monorail between downtown Seattle and Seattle Center. Travel thirty feet above the surface streets, enjoy great views of the city, and relish in the fact that you didn’t have to pay $15 for parking or spend 30 minutes navigating the streets. Happy holidays! This entry was posted on December 21, 2010 by Megan Ching. It was filed under Information and was tagged with Downtown, downtown seattle parking, holiday hours, holiday shopping, Monorail, monorail hours of operation, parking, public transit, Seattle, Seattle Center, space needle new year's eve, traffic.